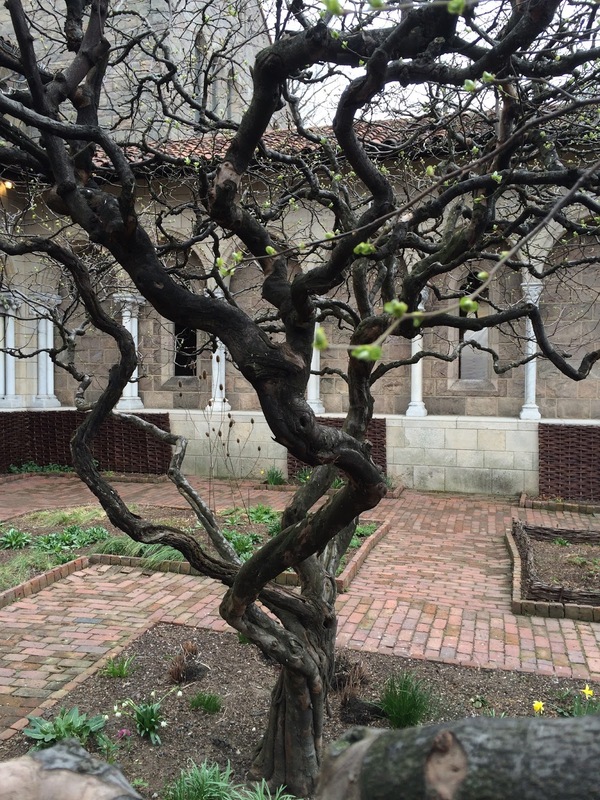 Spring is busily springing at the Cloisters, one of my favorite places in New York (and, therefore, the world). 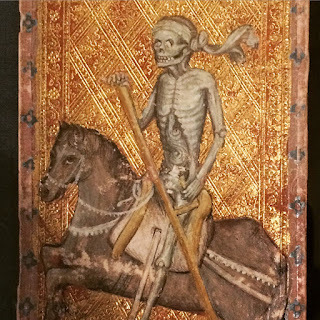 I made a pilgrimage there on Saturday (19 March) to enjoy everything slowly turning green again, and to see their spectacular exhibit of luxury playing cards. Now that's a death card. Yowza! Post-pilgrimage I wasn't exactly feeling like Death in terms of emaciated hunger, but I was a little peckish, so I stopped into the nearby New Leaf Cafe in Fort Tryon Park for a bit of refreshment. Only to discover that just about the only thing they had that wasn't their prix fixe ginormous brunch was avocado toast. Like a lot of people, I have a knee-jerk reaction against avocado toast. It's too...easy, you know? Avocado. Toast. Done. Too much of an obvious crowd pleaser, too. It's 2016, I want my food to challenge me! I can make avocado toast, for crying out loud. Why eat it at a restaurant? Those sorts of sentiments. And yet, and yet. Avocado toast is so good. Sometimes it is exactly the right thing. And this moment, feeling serene and spring-like and art-inspired, was one of those times. My only regret is I opted to go for a cappuccino rather than alcohol. A bloody mary and the avocado toast would truly have been food of the gods. Still, three cheers for avocado toast, judiciously, in small doses, at the right moments.